The combination of songwriter Mick Hanly and multi-instrumentalist and composer Donal Lunny is a marriage made in musical heaven. Both have honed their musical skills to perfection and play with a freshness and enthusiasm that belies their years on the road. 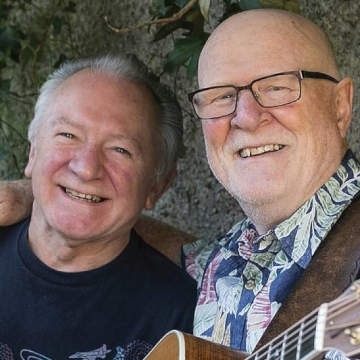 The musical paths of Mick Hanly & Donal Lunny have been intersecting since 1974 when Lunny produced ‘Celtic Folkweave’ for the duo of Mick and Mícheál O’Domhnaill who were known as Monroe. He also produced Mick’s next two solo albums for the Mulligan label. In 1983 their paths crossed again when Mick took Christy Moore’s place in ‘Moving Hearts’. When Mick returned to solo work, Lunny again took the reins for the Album ‘All I Remember’, which spawned Mick’s major American hit, ‘Past the Point of Rescue’, for singer Hal Ketchum.